Watch: Dr. Nipunie Rajapakse recommends flu shot. Dr. Rajapakse also says it's important to practice excellent hand-washing. "As simple as it sounds, it’s really one of the most effective ways that we can prevent infection and transmission of infections. It is really important to wash your hands frequently, especially during cold and flu season." For most people, flu symptoms will resolve on their own. But young children, older adults, and people with compromised immune systems or underlying heart, or lung disease are at a higher risks of complications. These people should talk to their health care provider about whether they would benefit from antiviral treatment with oseltamivir (Tamiflu) if they get sick with the flu. Pneumonia is one of the most serious complications. The flu is a highly contagious. "We would recommend anyone that thinks they might have the flu to not go into school and work to avoid infecting other people around them," says Dr. Rajapakse. 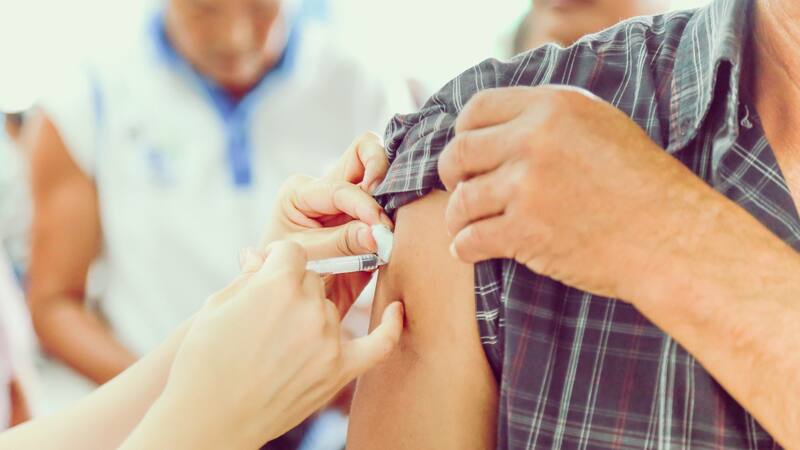 "Every year, there are people who were previously completely healthy that die from influenza so it is important to do everything you can to protect yourself and your family," says Dr. Rajapakse. The CDC says the 2017 – 2018 flu season was particularly severe with a 180 pediatric deaths reported as of August 25, 2018. The predominate strain of last season's flu virus was A(H3N2).